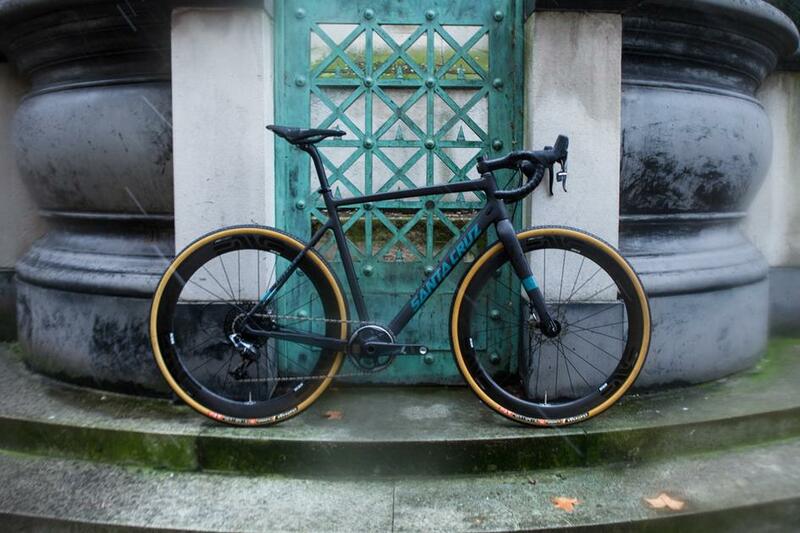 We just built another Stigmata, Santa Cruz's carbon CX frame. 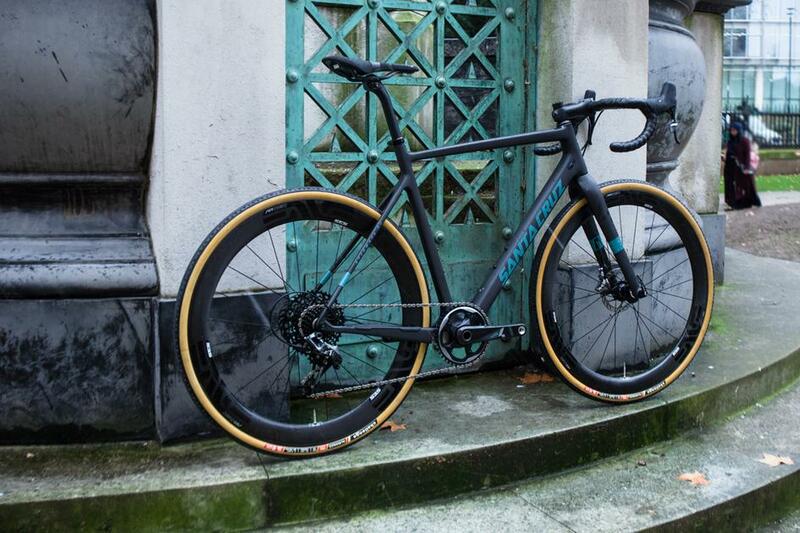 Beefy geometry and good looks have made this a popular build over the last year or two with the cross cognoscenti. 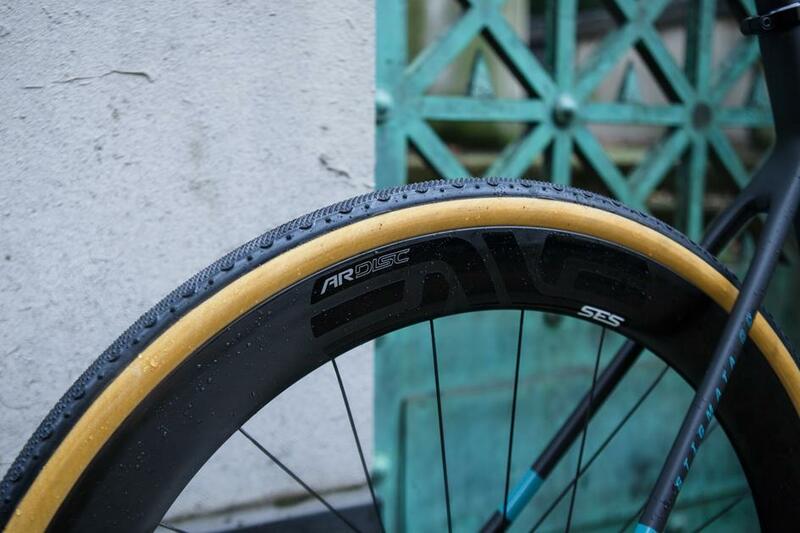 It's highly capable for all sort of riding and fits the all-road category to a t.
This build also features the super wide ENVE SES 4.5 AR Disc wheelset, aimed at 28mm plus tyres, maintaining aero performance but increasing the rim width for perfect seating of the tyre. Another popular choice on gravel and all-road bikes is the 1 x (say "one by") groupset, a familiar concept to modern mountain bikers. 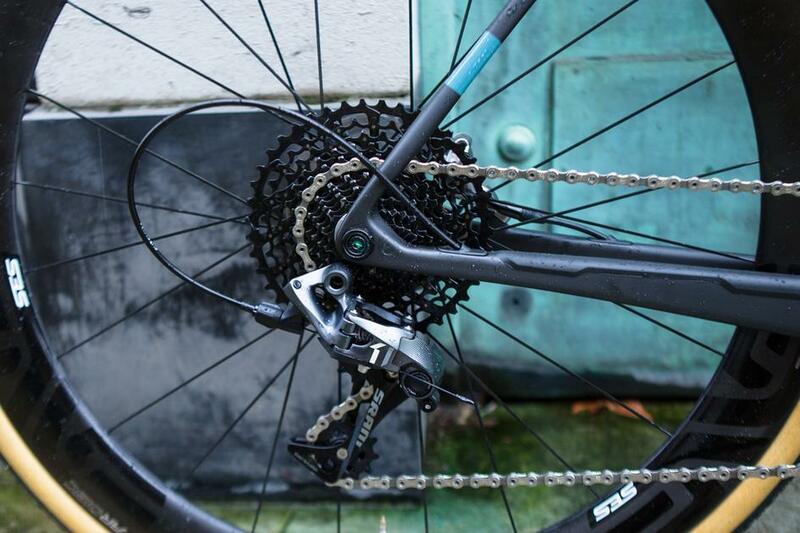 This just eliminates the front mech in favour of a clutch-style rear mech with a much bigger range. The gaps between gear are bigger, but the gear range can be enormous. Lower maintenance, quieter running, cleaner looks, 1 x is really gaining momentum. 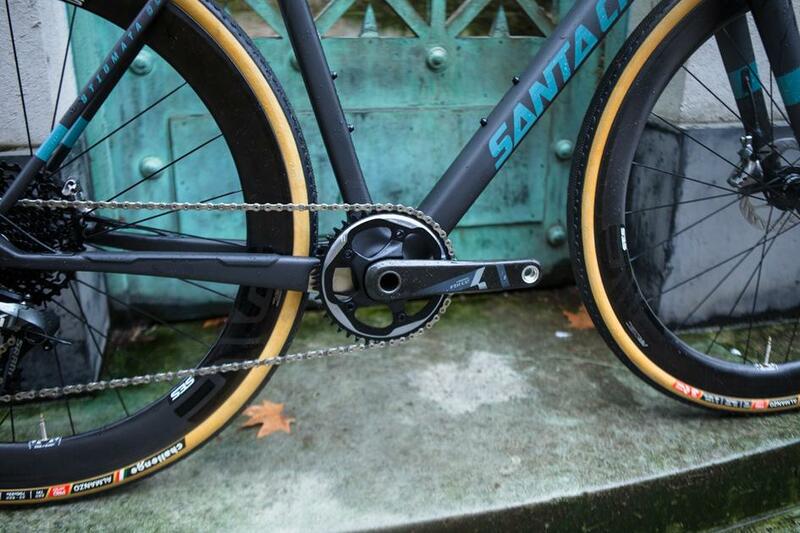 SRAM have been pushing this for a while, and this build uses their Force One set up with hydraulic brakes. See the full build on the Build Gallery.